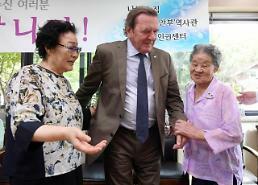 SEOUL, Jan. 15 (Aju News) -- There is a growing conflict between South Korea and Japan over a 2015 deal on comfort women. Usually, there is a tendency to think compromise in negotiation is the most reasonable. Moreover, this is more so in the case of negotiations over political and ideological issues. Even after 70 years of negotiations between Israel and the Palestinians, there has been little progress and so are inter-Korean negotiations. There is a legitimate argument that it is almost impossible to make concessions in negotiations on human rights, ideology, values, and racial issues, because mental values cannot be quantified. Therefore, negotiations on historical issues especially related to the honor and dignity of comfort women have a character that can not be compromised. The perpetrator must get to the point the victim wants to stop. 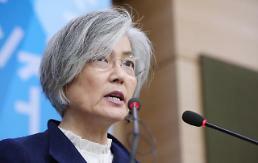 Nevertheless, the Park Geun-hye government tried to settle this problem by compromising with Japan. The reason is that we can not get 100% of what we want in negotiations. But this problem is not over if we did not get 100%. The moral value of human dignity cannot be replaced by material values. If you think it is possible, this is a mistake. Robert Putnam, an American political scientist, described the negotiation process simply as "two-level games". Level 1 means the negotiation process between real stakeholders. The negotiating process between delegates and those watching them from behind is called Level 2. If you ignore or do not understand the dynamic interaction between level 1 and level 2 games, you will never get good negotiation results. 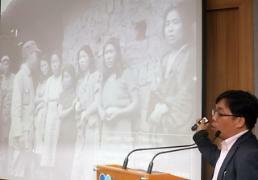 The government is only an agent negotiating on behalf of comfort women. Therefore, the negotiator should strive to accurately know about and reflect the real interest of the victims. Sometimes negotiations go wrong because the negotiator is confused over what the victims really want and what they claim to be. In the 2015 deal, the Korean government did not accurately reflect what the victims really wanted. The 'restoration of human dignity' is what they want, and not a lip service by the Japanese prime minister but a heartfelt apology. The government misunderstood that it could achieve this by winning Japan's responsibility, the prime minister's apology and a foundation to heal their wounds. This is due to the procedural lack of level 2 game. Even if the government implemented the level 2 process, it would be impossible for the victims to receive what they really wanted. This is because it is related to the entire history of Korea and Japan. Therefore, the victims might have thought level 2 was useless. The government may have thought that if an agreement with the victims is impossible, it would be better to get a written apology from the Japanese prime minister and compensation for a future-oriented relationship. There would have been US pressure. Leaders elected by a democratic process consider their political decision to be commissioned by the people. And the result is to stand alone in the judgment of history, as Kissinger said in his book 'Diplomacy'. From that point of view, the president's final decision is a reality that can not be changed, even if the people can not accept it. Moreover, if we try to deny the outcome of the agreement on the grounds that the people will be unable to accept it, that cannot be accepted by the international community. To deny this consensus, there must be clear evidence that Japan has either forced our delegates to agree or distorted the fact and deceived us. Otherwise, Japan's historical and moral imperfections may lead to hurting our trust. It is not easy to predict what the outcome of the negotiation will have in the medium to long-term. Even if it was a good negotiation right now, it would have adverse consequences over the course of time and vice versa. The same is true for the 2015 agreement. Therefore, it is best to follow the "pacta sunt servanda" (Latin for "agreements must be kept") in the current situation.